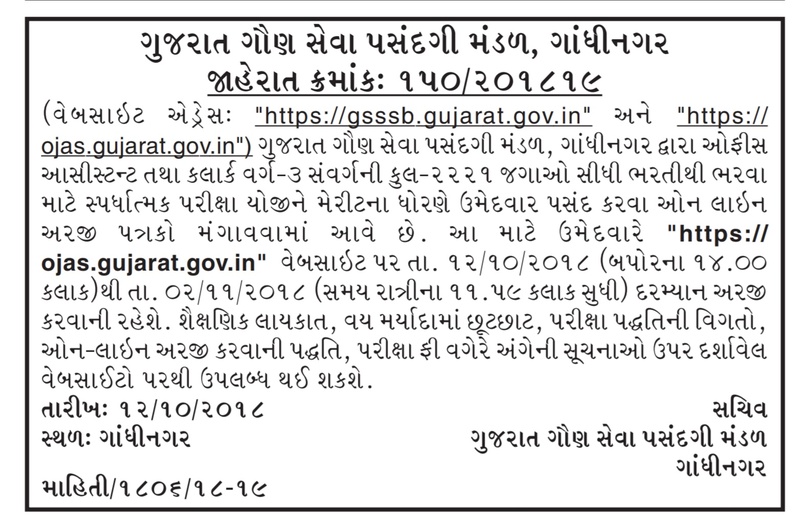 Gaun Seva Pasandgi Mandal (GSSSB) has published a Advertisement for Bin Sachivalay Clerk Posts 2018. Other details like age limit, educational qualification, selection process, application fee and how to apply are given below. 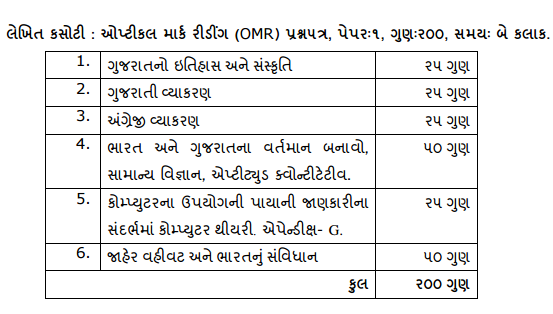 Educational Qualification : Std 12th pass (H.S.C.) or equivalent, Having Certificate /Marksheet of Basic Computer knowledge or Certificate in Govt. recognized university or institute with Computer as a subject. or Had studied in std 10th or 12th with Computer as a subject.